The toddler stage is all about new experiences and developmental milestones. It’s an exciting time for both of you, giving you the opportunity to shape who they turn out to be. One way you can aid in their development is to read to them frequently. Toddlers love books! However, before you start reading to your little one, there’s a few things you’ll want to consider. 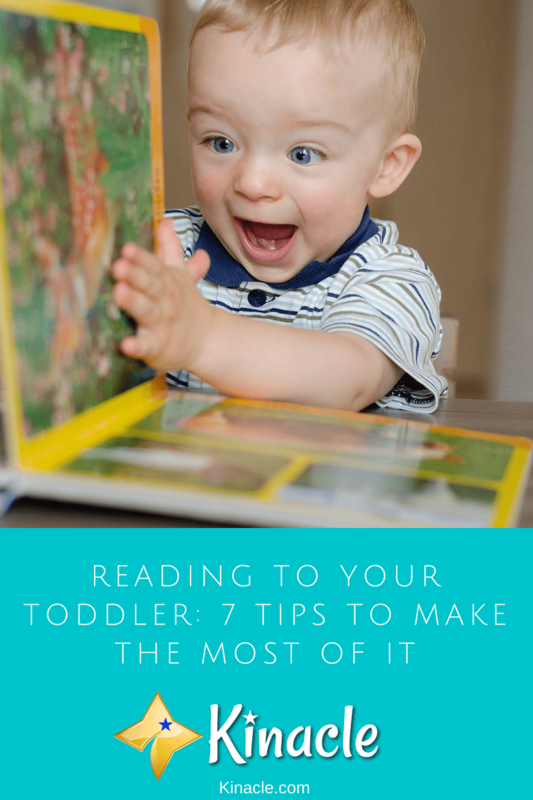 Here, you’ll discover some great tips to follow when reading to your toddler in order to get the most out of your sessions. Toddlers seem to have an endless amount of energy. When they’re hyper, running around and playing, it’s going to be pretty tough to get them to calm down for reading time. So, you’re going to need to choose the timing of your reading sessions carefully. Ideally, you’ll want to wait until they’ve had a long, tiring play session, a bath, or after you’ve been on a walk together. They’ll be much more chilled out and more than happy to cuddle up with you to read a story. It can also be helpful to let them know that you’ll be reading a book together shortly. Some toddlers tend to struggle with transitioning from one thing to another. So, if they know it’s coming, they’ll be less likely to kick up a fuss. If you really want to grab your toddlers interest, it’s worth investing in books based upon their interests. If they love trains, buy a train-themed book. If they love lions, find a book which features a lion as the main character. The more interested they are in the theme of the book, the more they’re going to learn. You could even let them pick their own books at a local store. That way, they’ll be super-excited to read it when they get home. If you’d rather shop online, here are some great toddler books to consider! Toddlers aren’t like adults. They’re not going to be able to sit there and read a book for hours on end. In fact, they’re going to struggle to make it past 15 minutes! So, you’re going to want to keep your reading sessions as short as possible. If you try to get them to sit still and read with you for too long, they could end up having a huge meltdown. They’ll also be less likely to want to have another reading session with you. Ideally, keep reading sessions between 5-15 minutes long and look out for cues that their attention is dwindling. How you read the story is equally as important as when you read it. As difficult as it might be, you’ll want to try reading the story in a silly, theatrical way. Take advantage of silly noises and put on different accents for different characters. Your toddler will love it! This is also a sure-fire way to keep their interest. They’ll want to read if they find it fun and enjoyable. They’ll also likely try to join in with the silly noises you make. You could even choose to act out the story together. Whatever you do, just aim to bring the story to life. While simply reading to your toddler will help with their development, asking them basic questions will enhance the learning experience even further. Ask them what they think about a particular part of the story. Toddlers tend to have a lot of interesting ideas and takes on the world, so you may just be surprised by how they interpret the story. You can also ask questions to see if they have been paying attention, or to strengthen the learning process. If there’s a dog in the story for example, you could ask “What sound does a dog make?”. Or, if a character is heading to the zoo, you could ask what sounds zoo animals make. You can also ask if they can see an object on the page. These questions help engage your toddler and keep them interested in reading. Although it can be pretty infuriating, toddlers love to read the same books over and over again. You may be sick of reading them, but it’s important to cater to this repetitive phase. According to experts, it could be your toddler’s way of making sense of the new things they’re learning. It can also help them to remember specific words. Most toddlers start this phase at around 18 months of age. So, don’t fight it, just remember it’s a phase and like every other one, it will pass. It’s really important not to rush your toddler or get impatient if they stay stuck on one page. You need to go at their pace and let them take it all in how they want to. For example, they may be busy launching into an elaborate story about the character in the book while you’re ready to move to the next page. Rather than telling them to shush and turning the page, let them keep talking. Listen to what they’re saying and maybe even join in. It’s how your little one is learning ad rushing them will only cause them to want to stop reading and move onto something more fun. Overall, reading to your toddler can be a fun way to bond while also aiding in their development. However, it’s important to follow the tips above if you want to get the most out of your reading sessions. There’s a lot of mistakes you can unknowingly make which could cause your little one to want to avoid reading time. So, taking care to follow the advice above will ensure they enjoy the sessions and get the most learning benefits out of them.